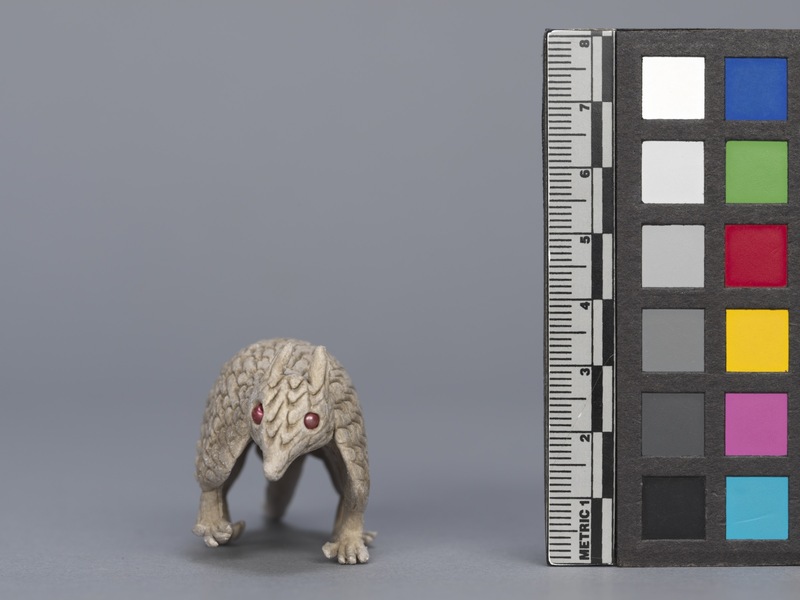 Item number 3197/15 from the MOA: University of British Columbia. 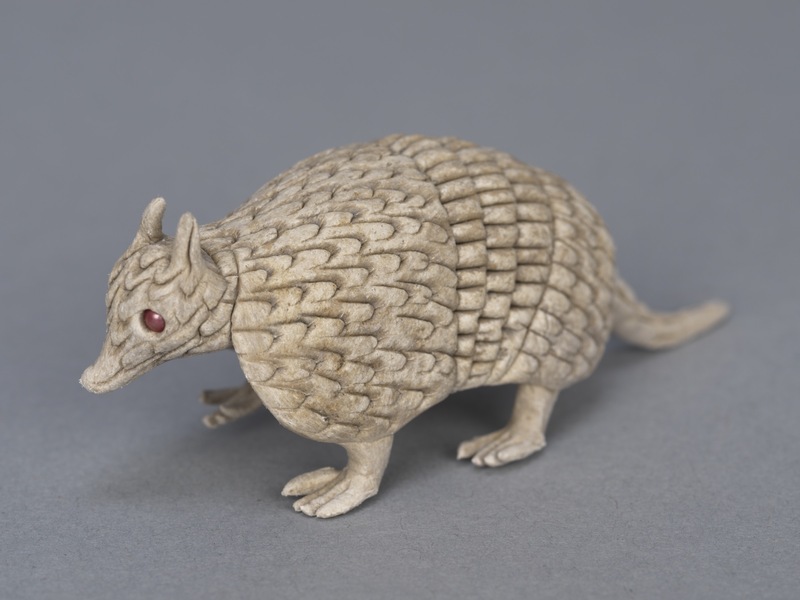 Latex (balata) figure of an armadillo. Figure is made of dyed latex rubber, hand molded. 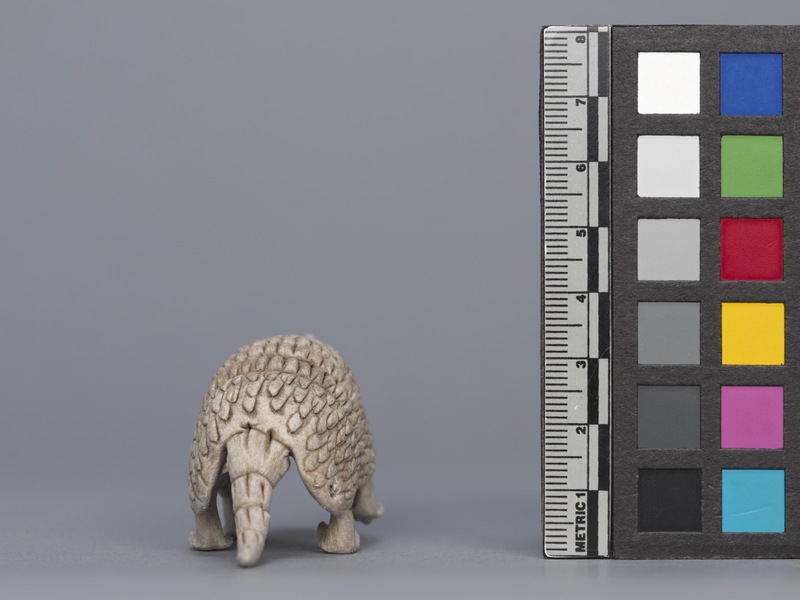 Animal stands on four large feet, armoured body thick and deeply incised with plates. Tail pokes out behind, slightly curved. Small head looks forward, with upright ears, a pointed snout, and inset red beads for eyes. Underside of figure is concave.